Recently we have informed you about a new Governmental Regulation No. 29 of 2016 on Authorized Capital of Limited Liability Company Amendment. Upon release of this regulation it was not clear to which extend the regulation would apply for foreign invested companies (PT PMA) in terms of proofing the paid-in capital and minimum capital requirements. After several discussions with the Investment Authorities (BKPM) and the Ministry of Law (KEMENKUMHAM) we got a final clarification for the application of this new regulation. The new regulation is only valid for SME's (UMKM) in Indonesia. As far as all foreign investments are considered as large companies the regulation does not apply for PT PMA companies. It can be assumed that the particular regulation on proof of paid-up capital upon company establishment towards the Ministry of Law is not applicable for PT PMA companies. The proof of paid-in capital has to be done in front of a local notary by presenting a legal valid document, which shows that the capital is paid into an Indonesian bank account or that the capital is available in form of assets. 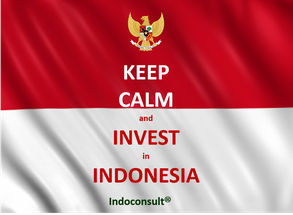 The size of a company in Indonesia is categorized by its capital or yearly revenue. We have put together the different categorizations for you in the below overview.